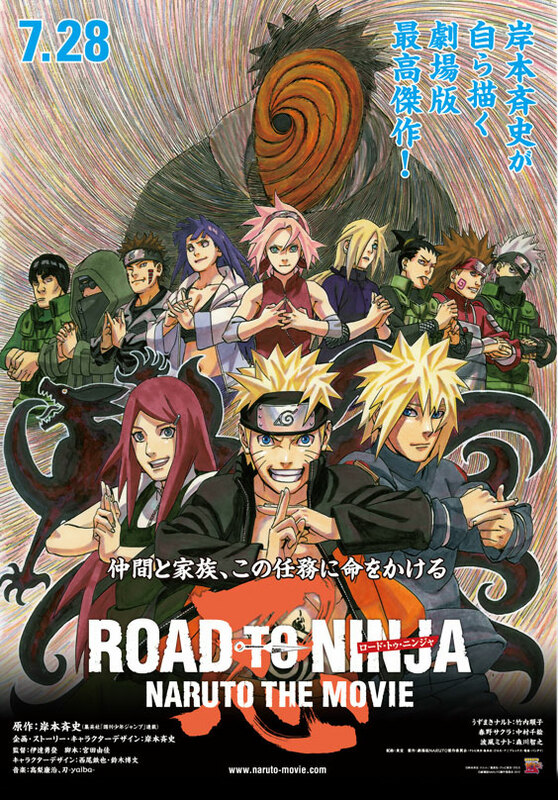 Road to Ninja movie poster. I missed the first ten minutes of this movie because I attended the 2013 Ozine Fest! It is not my first time to be late in a cinema but I regretted it. I mean, Naruto, one of my favorite anime, is showing in the big screen! How could I have been late? This movie is still in anime format. The language is in Japanese but the subtitles are big enough to read on the big screen. We follow the Naruto Shippuden arc where the hero, Naruto, is all mature. The plot of Road to Ninja is independent of the series. But seeing this movie will give you a deeper perspective of Naruto's character and history. Road to Ninja is about Naruto (of course) who suddenly encounters Madara. The villain uses his Sharingan to trap Naruto and Sakura in a world of illusion that he created. Now our heroes need to find their way out. However, Madara has a hidden ulterior motive that will put them to the test. This movie balances comedy and drama. Thus, it will take you to a roller coaster ride of emotions. The humor will make you laugh your heart out. But when the sad situations start to kick in, you will hold back tears, or even cry. Furthermore, this movie presented extraordinary action scenes and continuous twists. Just when you thought everything is fine, another adversity appears... then another and another. Add the surprise element to that! Character development focuses a little on Sakura and more on Naruto. For those who don't follow the series regularly, this movie is a big help. It gave an in depth understanding of Sakura and Naruto's attitudes and life stories. The sounds, animation, and character design stays true to the manga version. There is still the lighting-like sound of rasengan, or the clanging sounds of kunai and shuriken! The mangaka/creator of Naruto, Masashi Kishimoto, has been active in the development of this movie after all. Because of that, Road to Ninja didn't disappoint fans. Jamba Juice EDSA Shang is Now Blending!